Academic study is, naturally, the priority, but we believe passionately in the value of an all round education. To this end, you will find Sixth Form life at Bishop’s Stortford College packed with opportunities and our weekly timetable gives you the time and space to make the most of them. The College is a very busy place both in and beyond the world of the classroom. There are myriad opportunities for Sixth Formers to be involved, and there is a huge range of activities from which they can choose. 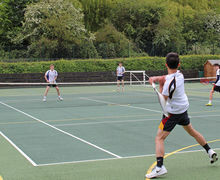 All Sixth Formers will be involved in activities at least twice a week, but almost all will take on a great deal more. The activities programme is a vital part of the education (in the wider sense of the word) that we offer and a key part of the ways in which we develop skills, talents and self-confidence – as well as engendering a great deal of pleasure. Of course, many other extra-curricular activities exist outside the timetable. Pupils at the College have a full and active timetable, but they still find time to get involved in a range of sports, activities and hobbies in their own time. Upper Sixth Formers attend a series of lectures under the direction of the Head of Sixth Form (Autumn Term). There are over thirty activities running in the Wednesday afternoon session such as Amnesty International, Archery, Art, Basketball, Chess, Community Action, Cookery, Dance, Design, Dissection Club, Drama, Expedition Training, Football, General Knowledge Quiz, Interactive Science, Journalism, Life Saving, Music, Pottery/ Ceramics, Power Kiting, Recycling, Robotics, Rug Making, Scuba Diving, Squash, Water Polo and Weight Training. Sixth Formers are free to take part in any of these. Sixth Formers may also go on our Scuba Diving PADI Open Water Diver course. During the second half of the Spring term and the start of the Summer Term, all Sixth Formers use the Activity times on Wednesdays and Fridays to do practice examination papers under supervision. The Senior School Art Department is located in a stunningly spacious Art Centre and it plays a central part in the life of the College. Opened in 2009, the purpose built Art Centre has many large studios, including a sculpture studio, a workshop, a gallery space, an IT suite, a dedicated Sixth Form studio and a well resourced departmental library. This allows pupils to become involved in painting, sculpture, ceramics, printmaking, textiles, glass, graphic design, photography, fashion, animation, computer generated imagery and film making. There are five members of staff in the Department, one of whom is an Artist in Residence. Our teaching gives pupils a thorough knowledge of the basic elements of the Visual Language which are necessary to allow the making of the creative, experimental and innovative work that we openly encourage. This is only a brief description of what happens in our Art Departments. Please do visit to talk to the pupils, see their work, and see for yourself the wide range of artistic experiences that we have to offer. 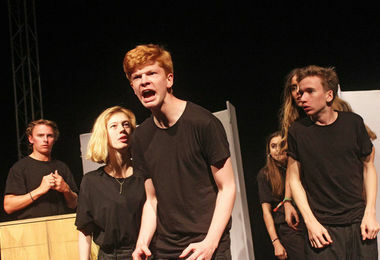 Every year the Drama Department sits down, scratches its head and decides which plays are going to delight, surprise, intrigue and move audiences on The Leo Price stage over the next three terms. This term sees us turn the College's finest student actors into an enthusiastic and highly disciplined cast, who over the last few years have performed plays as varied as Shakespeare’s Twelfth Night, As You Like It and A Midsummer Night’s Dream, Wycherley’s The Country Wife, Bond’s The Sea, Edgar’s adaptation of Nicholas Nickleby, Barrie’s Peter Pan, Return of the Forbidden Planet a spoof of Shakespeare's The Tempest and Gogol's The Government Inspector. We are fortunate in having a full-time technical stage manager, who gathers a team of “techies” who love creating images with light and sound just as much as their thespian peers revel in creating characters under the lights. Our sets are ambitious and although we have a permanent proscenium arch stage, our plays are more likely to be performed in the round, traverse, or even outside! Although most of our extra-curricular actors are Sixth Formers, talented Upper Fifth Formers may be invited to make the odd guest appearance. The plays usually run over three nights and give all those involved a real taste of the demands and joys of theatre, either on or back stage. After we have recovered our energy, it is the turn of the Lower Fifth students to invade the stage. Recent productions include premieres of plays performed as part of The National Theatre Connections Festival, such as Ruckus in the Garden by David Farr, Vampire Story by Moira Buffini and The Things She Sees by Ben Power. More recently we performed Animal Farm adapted by Peter Hall, Goldoni’s Servant of Two Masters and Ionesco's Rhinoceros. Students work with visiting theatre professionals, giving them an opportunity to sample the life of a 'real' actor over a few weekend rehearsals. Our Summer term production is open to all Fourth Formers (Year 9s) who are interested in performing on stage or helping with the technical side of theatre. This production forms part of the Summer Term Activities Programme and a team of teachers work alongside upwards of forty students to create something of a summer extravaganza. Most of these productions are plays which can be broken down into sections, with episodes within the play being allocated to different groups of actors. The Canterbury Tales adapted by Michael Edgar, The Coram Boy adapted by Helen Edmundson, Arabian Nights adapted by Dominic Cooke, Greek Myths and Mummers’ Plays, Victorian Melodramas have all at one time or another fired the imaginations of our students – and of course their audiences too! Last year Richard III, West Side Story and The Pardoner's Tale were all in performance. 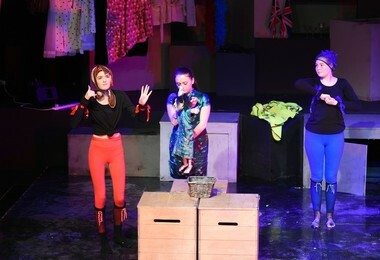 Sixth Form (Years 12 and 13): AS/A2 level Drama and Theatre Studies is offered. 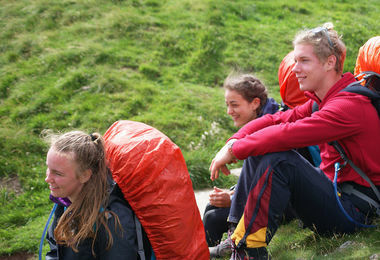 Bishop's Stortford College is top of the list of Independent School Centres for the Duke of Edinburgh's Award i.e. we have more pupils enroling and committing to the scheme than any other. 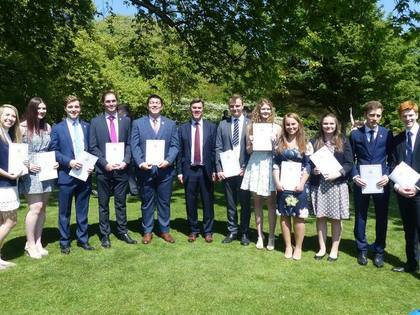 In the past year, 150 pupils have undertaken a Duke of Edinburgh’s Award at Bishop’s Stortford College with an Achievement Rate of 88%, well ahead of the regional rate of 57%. 120 pupils at the College have achieved Bronze, Silver or Gold in 2017/18. Between 1st and 4th July 2017, twenty-four Upper Sixth students completed the Gold DofE expedition in the Peak District. Ms Chaplin and Mrs Lynch were delighted to see how far the students had come since the early Bronze level days as they put to use their knowledge of navigation, free nav and campcraft. The assessor passed everyone doing the assessment. Next is the hard part - signing off the rest of the sections and uploading all the information onto the DofE system. You can view this year's list of students who have achieved the Gold Duke of Edinburgh Award here. Preparing our Sixth Formers for the leadership roles they will take on in their lives after leaving the College is an important part of their time here. All Lower Sixth Formers take part in our well-regarded Leadership Training Course as part of that process, and the Sixth Form offers manifold opportunities for the practical exercise of leadership and the development of the skills that are involved. 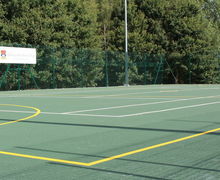 Many Sixth Formers will take on roles of leadership in Sport, Music, Drama and through the activities that run throughout the week; the five-a-side football competition organised and run entirely by pupils is one example; another is the Sixth Form Social Committee which organises functions for all to enjoy. In the Upper Sixth Form, all Sixth Formers will have the opportunity to motivate, persuade and lead others; most are selected to be School Prefects, House Monitors or Heads of House in their senior year. The whole of the College’s Lower Sixth (Year 12) is involved each summer in the annual three-day leadership course, in part to prepare for the responsibilities that lie ahead in school, but also to look at the life skills they will need in their careers and society in the future. Lectures, seminars and a session of outdoor team-building challenges stretch these talented youngsters intellectually and physically. As one commented, "This is a brilliant way to relax, a complete change from revision and exams." 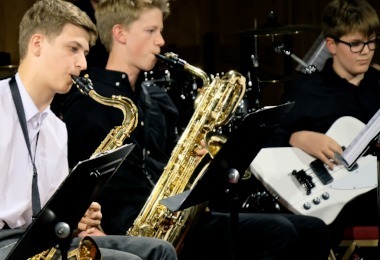 Students are provided with the resources and the encouragement to develop their musicianship in the Sixth Form, giving them skills and experiences which we hope will stay with them throughout their adult lives. 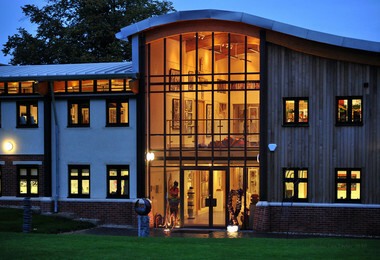 With a large staff, excellent facilities and equipment, an enthusiastic atmosphere and numerous opportunities to take part in making music, a large proportion of our Sixth Form students are involved in some kind of musical activity and there are many opportunities for individuals and groups to practise and perform. Many students are involved in as many as four or five different groups. Please visit our YouTube channel and our SoundCloud page to get a taste of the musical opportunities on offer. 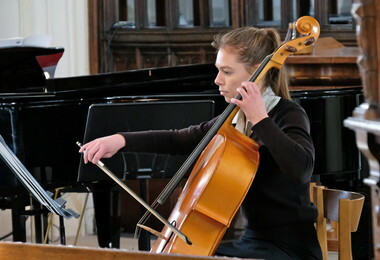 The Orchestra, numbering at full strength some fifty players, performs works from the standard orchestral repertoire each term and there are opportunities for senior players to perform as soloists. The Band plays a wide variety of music, both original and arranged. String and Woodwind Ensembles give pupils of all abilities the opportunity of playing together. The Choir is a mixed-voice choir, numbering around fifty, which sings at concerts and other special events. These include an annual service of Carols, Cathedral visits and foreign tours. The College Choir combines with parents and friends to perform a concert in the Easter or Summer term. In recent years, the Society has performed Handel’s Messiah, Mozart’s Requiem and Bach’s St Matthew Passion. Tours have seen the Chapel Choir in Italy and France and the Wind Band in New York. There are regular trips to concerts on the South Bank and at the Barbican, and to the English National Opera. Bishop’s Stortford College is well situated for visits to other centres of music including Cambridge. We take great pride in our sporting heritage and a successful record and reputation, founded on the principles of excellence and enjoyment. 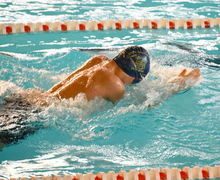 You will have the opportunity to play sport on a regular basis, competitively or simply for pleasure. Our aim is to provide the best possible sporting provision for all our pupils. To that end we strive to offer you every opportunity to enjoy sport and experience success. 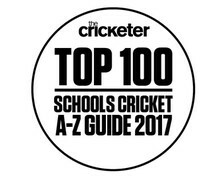 This involves striking the rare balance between excelling at the highest level with our most talented pupils whilst ensuring that all pupils benefit from good coaching and positive sporting experiences. 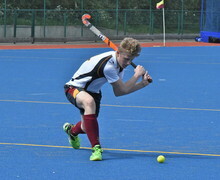 Details of our Elite Sports Programme sports scholars and talented players can be found here. 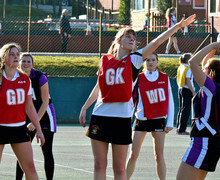 Four afternoons are set aside for sport with Tuesdays and Saturdays being match days. You will be coached by members of the PE Department, academic members of staff with particular expertise and a dedicated team of part time sports coaches, including several ex international players who provide high level coaching and inspiring role models. For every pupil to find their niche a breadth of experience is important and we also offer basketball and football clubs and the opportunity to compete in golf competitions. Those not selected for the major games squads can choose from a wide variety of other sports and activities on games afternoons such as badminton, table tennis, yoga, aerobics, boxercise, running/athletics and fitness training. These are known as side-games and provide a variety of health-giving and enjoyable activities for all. The fixture lists for each sport are extensive and we aim to play at the highest level whilst fielding as many teams as is possible. As many as ten teams take the field in block fixtures against our rivals. Our teams enjoy regular success at district, county and regional level and we have reached national finals in hockey recently. 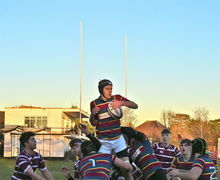 For many pupils, sports tours are the highlight of their sporting experience at Bishop’s Stortford College. There are regular tours organised for the major sports, both abroad and within the UK. 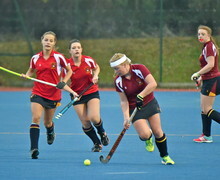 Recent tours: Hockey in Holland and Spain; Rugby in Italy; Netball in Antigua; Cricket in South Africa. 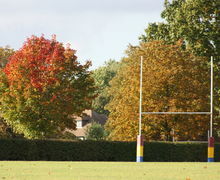 Extensive, campus based playing fields (100 acres). Large multi-use sports hall providing the facilities for badminton, basketball, volleyball, judo, indoor hockey, netball, football, table tennis and indoor cricket nets. There is also an extensive multigym. Please click here to find out more about individual sports. 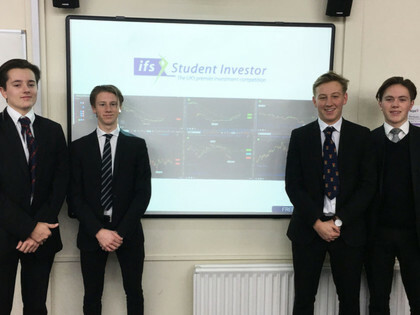 The Student Investor Challenge is a UK wide investment game, sponsored by Bloomberg, with a trip to New York and prize money for the winning team and their school or college. 68 students from the Lower and Upper Sixth represented Bishop’s Stortford College in the first round of the 2016/2017 Challenge, as part of our Inspired Horizons programme. At the end of this first round, College team Strantent Oakmont was ranked in the top 500 and was through to the semi-finals. Facing stiff competition from 499 other teams, Strantent Oakmont did not make it to the finals, but were thrilled to have made it to the semi-final stage of the competition and thoroughly enjoyed the whole experience. Sixth Formers benefit from their involvement in a wide range of trips and visits in addition to the breadth of experience available on the College campus. Some of these are organised by departments as extensions of A level work, for example: Biology Field Trip, Theatre visits, Art Trip (to New York or St Petersburg recently), Geography Trips (to China and India recently), Politics and Economics trips to Brussels or the House of Commons and Media Studies Trips (to Los Angeles and San Francisco this term). Often these excursions are open to non-specialists as well as A level students. The various Sports teams are also fortunate to be involved in national and international tours: Netball to Barbados, Rugby to Italy, Hockey to Holland, etc. There are also those trips that are open to all who are interested; the College Ski Trip and the Diving Trip to Egypt are just two examples. The Festival of Literature, Ferguson Lecture series and 'Stars in their Eyes' charity extravaganza illustrate how ideas are sown, take root and flourish at Bishop's Stortford College, thus ever increasing the range of events on offer. These trips and events mentioned above are only a selection from a long list of exciting and stimulating opportunities, all of which are part of the College’s drive to extend, challenge and develop all Sixth Formers in ways that are academic, social and cultural.